PLEASE READ THESE TERMS AND CONDITIONS CAREFULLY AS THEY DESCRIBE YOUR RIGHTS AND RESPONSIBILITIES AND, TOGETHER WITH ALL THE OTHER TERMS AND CONDITIONS REFERRED TO BELOW, FORM A LEGALLY BINDING AGREEMENT BETWEEN YOU AND US REGARDING YOUR USE OF OUR WORLD WIDE WEB SITES. IF, FOR ANY REASON, YOU ARE UNABLE OR UNWILLING TO AGREE TO ALL OF OUR TERMS, PLEASE IMMEDIATELY DISCONTINUE USING OR ATTEMPTING TO USE OF OUR WORLD WIDE WEB SITES, BECAUSE IF YOU CONTINUE, YOU WILL BE AGREEING TO ALL THE TERMS DESCRIBED OR REFERRED TO BELOW. The law firm of Feldmann Nagel Cantafio Margulis Gonnell PLLC ("FN" or the "firm") is a duly formed and organized limited liability company registered under the state laws of Colorado with its principal headquarters maintained in Denver, Colorado. The Firm is licensed and/or operating via of counsel relationships internationally (through its division of Military Justice International) and domestically (through its division of Wildlife Lawyers) in the United states of California, Colorado, Nevada, Pennsylvania, Rhode Island, Texas, and Wisconsin. FN attorneys are licensed in CA, CO, FL, IL, KY, NM, NV, NY, PA, RI, TX, WI and WY, and as may be amended from time to time based upon the attorney profiles located within this World Wide Web site. Additionally, FN attorneys are licensed to appear in the military courts nationwide and internationally. FN is a private law firm and not a governmental agency nor a public or charitable legal services organization. The materials on this World Wide Web site are provided for informational purposes only. They do not constitute legal advice nor do they necessarily reflect the opinions of FN or any of its attorneys or clients. Nothing on this site or associated pages, documents, comments, answers, emails, or other communications should be taken as legal advice for any individual case or situation. This information on this website is not intended to create, and receipt or viewing of this information does not constitute, an attorney-client relationship. Any communication occurring on this site is not confidential and is not protected from disclosure under the attorney-client privilege. You should not act or rely on any information in this World Wide Web site without seeking the advice of an attorney. There is no implicit guarantee that this information is correct, complete, or up-to-date. The content on this site is provided "as is." We do not represent that the content will be error-free, timely, free of viruses or other harmful elements, or that defects will be corrected. Neither FN nor any of its affiliates, divisions, partners or employees, makes any representations, express or implied, with respect to the timeliness, accuracy or completeness of any of the contents of this World Wide Web site, and expressly disclaim any liability or warranties, express or implied, including, without limitation, any implied warranties of merchantability, fitness for a particular purpose or non-infringement. FN expressly disclaims any liability for any action, or failure to take action, in reliance on any of the contents of the World Wide Web site. Your sole remedy for any dissatisfaction with any of the contents herein is to refrain from using the site. In some jurisdictions, this World Wide Web site may be considered advertising. The hiring of a lawyer is an important decision that should not be based solely upon written information about qualifications and experience. In the event the information on the FN World Wide Web site is not consistent with the rules governing communications of legal services in a particular state, FN is unwilling to assume the representation of clients from those states where the marketing materials do not comply with respective State Bar requirements and where the client is generated as a result of that communication. No representation is made or intended that the quality of the legal services to be performed is greater than the quality of legal services performed by other lawyers. No World Wide Web domain name or tradename is used to establish a specialty or legal certification. Any connotation or reference to Wildlife Lawyers, Military Justice International Lawyers, or the use of World Wide Web domain names (colo-lawyers.com, nv-lawyers.com, txs-lawyers.com, wildlifelawyers.com, militaryjusticeinternational.com, etc.) contained within this World Wide Website are utilized for FN's divisions and any consumer should not deem any such reference as a law firm specialty in a particular field. Under State Bar rules of particular states, tradenames are not recognized to grant any impression of the quality of legal services. Unless otherwise specified, the attorneys listed in this World Wide Web site are admitted to practice in the jurisdiction of their office, and they are not certified by the Texas Board of Legal Specialization. This website constitutes a "communication" as defined in Rule 1-400(A) of the California Rules of Professional Conduct as it is a message made by and on behalf of attorneys at FN who are members of the State Bar of California concerning FN and the availability for professional employment of those members and their law firm. Under the New York State Lawyer's Code of Professional Responsibility, portions of this World Wide Web site contain attorney advertising.  To the extent the State Bar Rules in your jurisdiction require us to designate a principal office and or a single attorney responsible for this web site, FN designates its office in Denver, Colorado, USA as its principal office and David Nagel, Esq. as the attorney primarily responsible for this World Wide Web site. Prior results and testimonials do not guarantee a similar outcome. Each representation has unique facts and circumstances that may impact results. Past performance is no guarantee of future results. Every matter is different. These materials may not reflect the most current legal developments, verdicts or settlements. This World Wide Web site may include links to other internet sites that are beyond the control of FN. FN is not responsible for the content of any such sites, makes no representations regarding any such sites, cannot guarantee their practices regarding data privacy, and does not necessarily endorse or approve of the information, material, products or services contained on or accessible through any such sites. You acknowledge and agree that you're linking to other sites, your use of such sites, and your use of any information, material, products and services offered by such sites, are solely at your own risk. FN respects the privacy of all persons visiting this World Wide Web site. Without your express consent, we do not utilize any information obtained by you for any purpose other than communicating with you. Additionally, no such information is ever provided to third parties for any purpose whatsoever unless we were required to furnish such information to legal authorities in order to comply with the law or to prevent a violation of the law or a violation of someone else's rights. FN assumes that you recognize that e-mail is not a completely secure medium of any type of communication. You should, therefore, never send private or confidential information through this World Wide Web site and you assume all related risk. To ensure compliance with certain IRS requirements, we inform you that any tax advice contained on this website is not intended or written to be used, and cannot be used, for the purpose of (i) avoiding penalties under the Internal Revenue Code or (ii) promoting, marketing, or recommending to another party any transaction or matter addressed on this website. All materials contained on this World Wide Web site, including text, images, logos and or other material, and all intellectual property rights hereto, including copyrights, trademarks, service marks, tradenames and tradedress, are owned by FN or its affiliates. Reproduction, distribution, republication and retransmission of material contained within the FN World Wide Web site and its related links is prohibited unless the prior permission of FN has been obtained. These rights are valid and protected in all forms, media, and technologies existing now or hereafter developed. We welcome your comments or questions and look forward to being of service. Thank you for visiting our World Wide Web site. Copyright (©) 2010 Feldmann Nagel Cantafio Margulis Gonnell PLLC. All rights reserved.